Return, a photo by davidrobertsphotography on Flickr. After several years of deadlock, Conwy Councilllors voted today to move forward with the acquisition of the semi-derelict Colwyn Bay Pier. This has to be good news for this beleaguered structure. 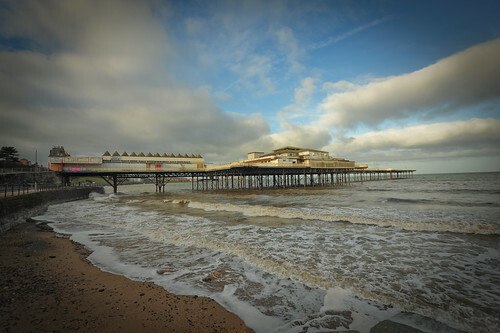 The Plan is for the Council to grant a Lease to a local Community Group, who can work to both obtain grant funding for renovation work, whilst also carrying out smaller jobs themselves and reopening some of the pier's facilities to the public. I wish them the best of luck. That is good news, I was just looking at some old photos of the pier today and wishing something could be done.